Lord Louis Mountbatten (Hugh Bonneville), his wife Edwina (Gillian Anderson) and daughter Pamela (Lily Travers) arrive in India after the Second World War. He is to be the last Viceroy in charge of the country and will lead it through negotiations toward full independence. With cultural and religious leaders in deadlock about how the new India will look and with dealings behind his back, Mountbatten faces a difficult task. Shown alongside this, are the feelings of his household staff, excited but wary about the future. Channel 4 News recently interviewed Shashi Tharoor, the politician and author, about India under the British Empire. He stated the British suffer from “historical amnesia” about atrocities committed against Indians during that time. History always favours the victor, as is spelled out on a title screen before this film starts, but TV and cinema at least work to redress the bias in the history taught to us Brits as children. Bend It Like Beckham (2002) director Chadha’s well intentioned and detailed if dramatically incredulous film is based on the handing over of India and the creation of Pakistan. It reflects this story with a diplomatic and (as far as possible) balanced account of events. She has crafted a brisk and breezy discussion of the key political events that, for the most past, stays on the right side of turgidity. It has the crisply white, laundered linens/uniforms look of the finest British period drama, a selectly beautiful and starry cast, ravishing photography and fine settings. Chadha even treats us to a brief Bollywood number. Valiantly, she inserts a number of key scenes that revolve around the deep political manoeuvrings behind the scenes. These aren’t the easiest of moments to convey on non-documentary film and, toward the end, enough very nearly becomes enough. Throughout, her actors and script hammer home the point for a post-Brexit audience about the problems inherent in splitting from a superpower and forging an identity on one’s own. I’m all in favour of nuances in movie writing but clearly there’s not enough time, space or will here to focus on the subtleties, so we get some ludicrously obvious declarations about sovereignty and the future of national stability. However, in a telling scene about he comic absurdity during the first stages of independence, when 80% of possessions in Viceroy’s House are split and shared out between India and Pakistan, we perhaps see how Brexit negotiations after the triggering of Article 50 later this month could go. Will we be this small-minded and petty? Where it falls down is the safe, established feel of the narrative, a Donwton Abbey meets Exotic Marigold Hotel if you will, replete with the Lord of Grantham himself (Bonneville, playing the same character), friendly and perpetually quiet dogs and Anderson’s attempt to out-posh the Queen with her ridiculously over-syllabled accent. At times, she sounds as if she’s straining to force words out of her mouth. Perhaps she is vocally trying to match the outrageously plumed fascinators she wears? 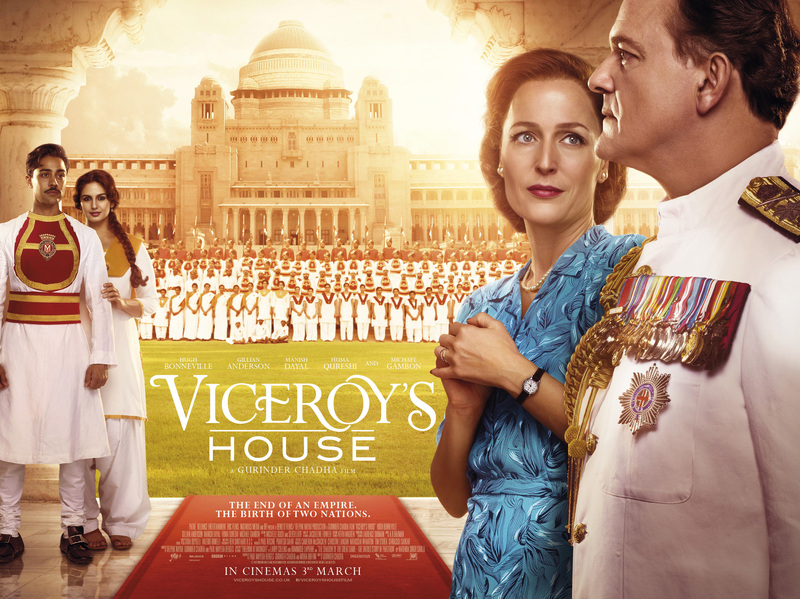 As with the Upstairs, Downstairs feel to Downton, there is conflict all over Viceroy’s House, from the Mountbatten’s and their established staff, the white staff toward the Indian servants and between the multitude of cultures who mix beneath stairs. Later scenes stretch credibility to breaking point: Jeet happens across Aaliah in a refugee camp despite earlier news she had been killed in a massacre. But Chadha’s equal and inclusive approach favours no group over the other. Despite the lack of subtlety in the dialogue, her overall approach is sound and this is a stirring lesson that remembering past transgressions can help avoid making them again in the present. See the official Pathe website for more. 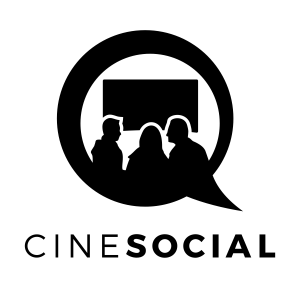 Producers: Paul Mayeda Berges, Gurinder Chadha, Deepak Nayar. Writers: Paul Mayeda Berges, Moira Buffini. Hugh Bonneville, Gillian Anderson, Michael Gambon, Simon Callow, Om Puri, Manish Dyal, Huma Qureshi, Lily Travers, Simon Williams, Samrat Chakrabarti, Roberta Taylor. I enjoyed this a lot more than I expected! Hi Caz, great to hear from you and glad you liked the film. It’s such a fascinating part of history, the dissolution of an Empire and the creation of a new state, isn’t it? I guess the drama could be nothing but good. Truly noted an agreed. An excellent film. This film is a superbly produced epic about the last Raj. All history films contain a mixture of fact and fiction but this one maintains the integrity of the bigger narrative.